Summertime is such a great time for many things but one of my favorite is buying fresh items for breakfast recipes at our Jefferson Texas bed and breakfast. So today I was thrilled to finally get a chance to go to the Farmer’s Market on the highway just outside of Jefferson. There were three vendors there with some incredible items for sale. 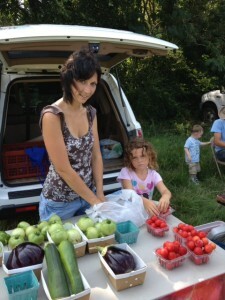 Jefferson Orchards had bunches of little red plums, tomatoes, egg plants, cucumbers and green peppers. We bought some plums that I think will make a great tart for breakfast. 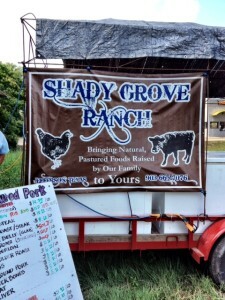 Then we checked out the meat and eggs that the Shady Grove Ranch brought. 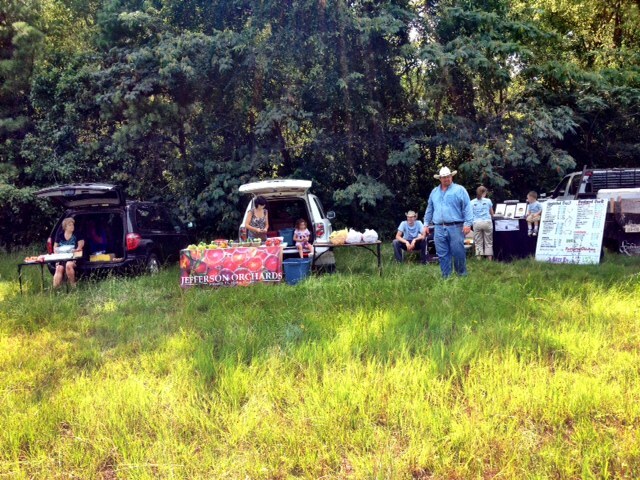 We bought a few pounds of sausage for some biscuits and gravy breakfasts this week. 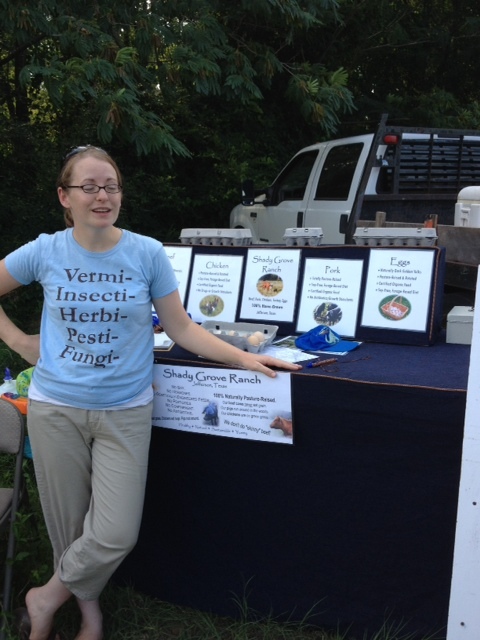 Their eggs looked fabulous in all the colors from the different variety of hens they have. It was nice to meet the young owners of this farm since we just heard about them a few weeks ago when we had guests who came all the way from Dallas to buy their organic, grass fed beef. 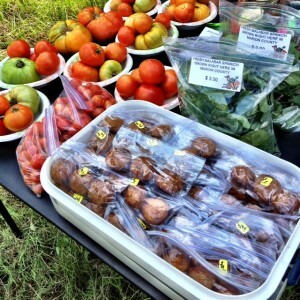 We are really glad to see that we can buy local organic produce and meat within just a few miles of Jefferson Texas. Our bed and breakfast guests will be getting some great fresh items in their breakfasts in the very near future and in the coming months as more items become available. If you’re in town on Fridays at 4:00 PM and want to buy some fresh local products stop by the lot on Highway 59 in between the Sonic and McDonalds restaurants.